Our 20′ Yurts sleeps 6 and are equipped with 1 futon and 2 sets of bunk beds. Our 30′ Yurts sleeps 12 and are equipped with 3 futons and 3 sets of bunk beds. 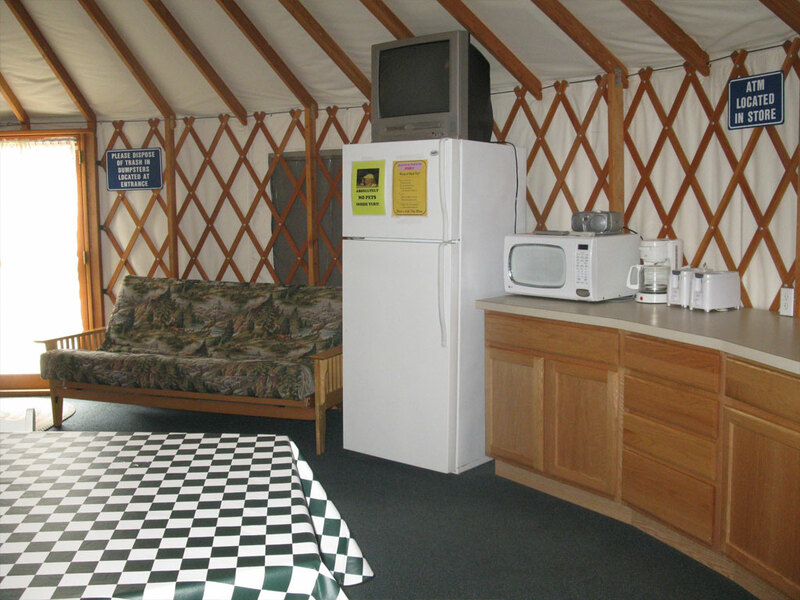 All Yurts are equipped with the following: table and chairs, ceiling fan, refrigerator, microwave, DVD, coffee maker, toaster, and AC. Each Yurt has a 6-foot deck, and includes a picnic table, fire ring, and grill. 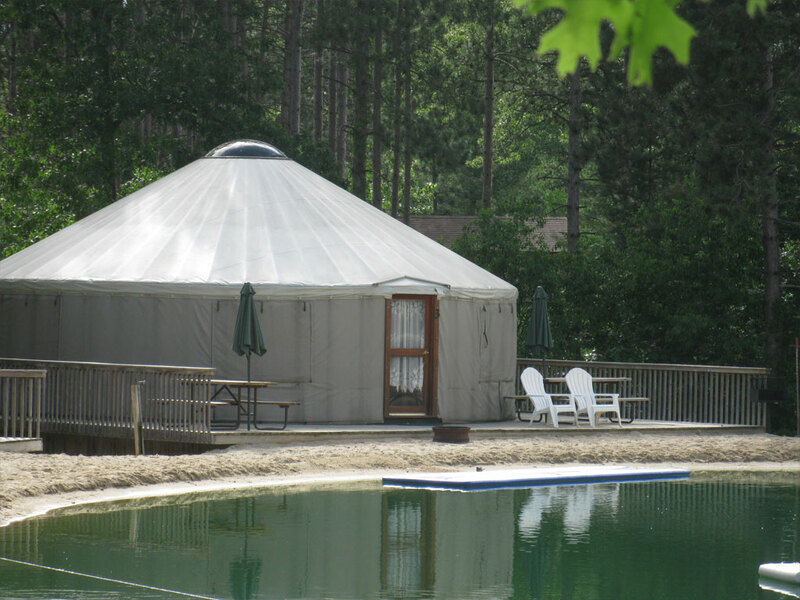 Our Beach Front Yurts are conveniently located on our POND adjacent to the bathroom and shower facilities.